Every rock pings off the underside of the down tube of my bike, playing the high-modulus carbon like a drum. I wince at every knock, as big rocks roll aside and small rocks fling from my team mate’s tyres and my own front wheel, and I’m hoping beyond hope none of them pierce a tyre, a shin, or anything else that is currently deemed important. We still have 1000m to descend and over 40km to our camp for the night. 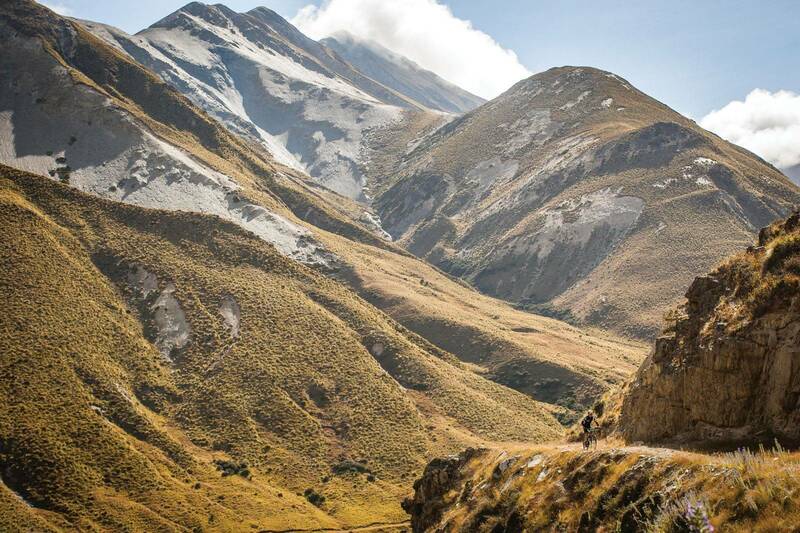 We’re descending off Ben Ohau, a monstrous peak that punctuates Stage 4 of The Pioneer, a week-long mountain bike stage race in the Southern Alps of New Zealand. The azure blue expanse of Lake Ohau taunts us, looking tantalisingly refreshing as we drop down from our high alpine setting, shedding vertical metres at a rate far greater than we gained them over the past two hours. As we make our way down from the barely-there trail across the scree slope, we hook hard into old farm trails that are narrow, exposed, rutted, and take our full attention. Our brakes heat up, and our arms and legs pump and fatigue as we’re bracing against impacts and getting our cross-country bikes down a 25 minute descent. In time, the gradient eases, more lines open up and we shoot into the final feed zone to top up on water, GU Stroopwafels, aeroplane lollies and Em’s bars before the final push along the Alps to Ocean trail that wraps around the base of Lake Ohau. When we get there we will have finished hump day at the 2017 edition of The Pioneer – the route runs from Christchurch to Queenstown, and every day it’s taken us way into the backcountry of New Zealand’s South Island, before pushing us back to the relative comfort of the race camp with massages, a bar, a chill-out tent, pulled-pork burgers, gourmet pizzas, hot showers and the best race-mechanic service I have ever experienced. Stage races like The Pioneer are incredibly popular around the world. The general premise is five to eight days of mountain biking, either point-to-point or based out of a town with a different route each day. Each event has its own flavour and character, influenced by the settting and trails. Whether you’re riding on the old gold mining trails and hand-made singletrack high above the town of Breckenridge in Colorado, or navigating the narrow, ancient, routes carved out of the mountains of the Valais at the Swiss Epic, or carving modern machine-built singletrack through a winery in the Western Cape during the Absa Cape Epic – each event is unique. The Pioneer arrived in 2016 and was an immediate hit, bringing a full-service mountain bike race to Australasia. 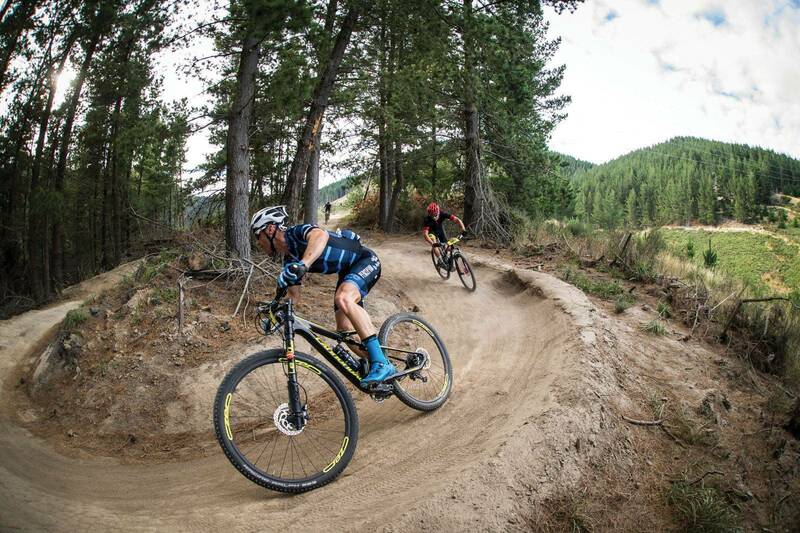 Offering a week of mountain bike adventure, physical challenge and the camaraderie of racing in pairs, fans of similar events around the globe had a new event to place on their bucket list. And Australians who had been eyeing races like the Absa Cape Epic, had something much closer to home to set their sights on. Covering 545km and climbing 15,508m over seven days won’t whet the appetite of everyone reading this. Those numbers are big, and will likely represent 30 to 40 hours of saddle time. Those vertical metres are descended – but they are also hard fought to gain. Such a volume of riding isn’t something you would normally do in a week. But therein lies the appeal. 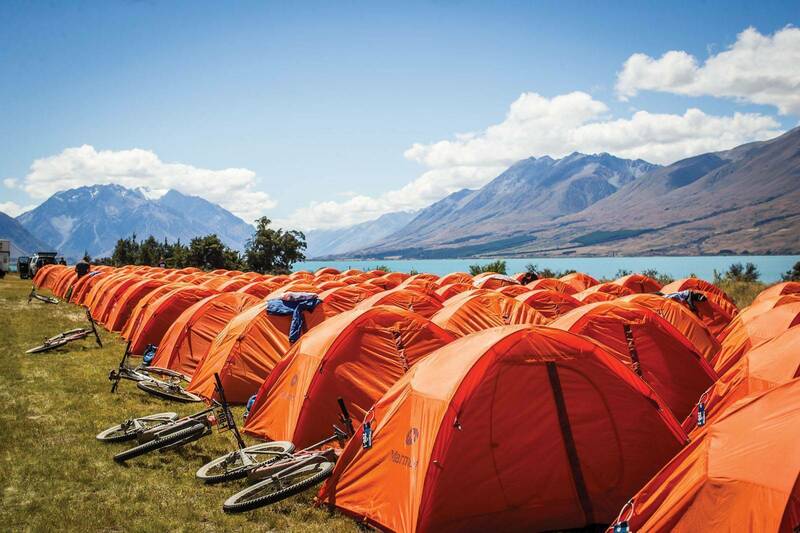 Events like The Pioneer offer a chance to escape the relative drudgery of a 9-5 working week, and instead spend the equivalent hours on your mountain bike, with a mate or significant other, riding across high-country sheep stations, through remote valleys, along purpose-built singletrack, or tackling demanding backcountry trails all in New Zealand’s Southern Alps. At events like The Pioneer your focus is on you, your riding, and your partnership with your team mate. The Pioneer event crew have their ‘three pillars’ for the event, something they hope every rider will experience. The want you to ‘find welcome, find character, and find stunning’. Roughly, they want their event to be tough, so you need to dig deep and see what you’re capable of, and have that effort reward you with truly breathtaking vistas, before being welcomed each day to the event village. The rhythm of a stage race is hard to beat for anyone who wants to switch-off and focus on riding their bike, and sharing that experience with others. It is a matter of eat, race, sleep, repeat. With a few more slots of eating, and maybe a nap in there too if you can manage it! I was lucky enough to not only race the 2016 Pioneer, but also head back again in 2017. Given the tight-knit community that develops during a stage race like The Pioneer, race registration was punctuated by slaps on the back and catching up with riders from around the traps – and of course tales from the last 12 months. The nicest touch was the race’s CEO personally welcoming each of us back, and giving us a camping knife as a memento. This engagement with the competitors from the top levels of a global organisation is quite something, and it underlines the belief by The Pioneer crew that they want you to ‘find welcome’. That is a big part of stage racing in general, though, and it’s not just from the event organiser but from the others in the race too. And that’s one of the big things that took me back. While in 2016 I raced with an impromptu team mate and had a good time, it’s not the same as when you experience something like this with a friend. Pairs racing has a unique set of demands, and it can put untold stress onto friendships – and that is one of the challenges you need to surmount to finish the race. This year I entered with my Subaru-MarathonMTB.com team mate Justin Morris. An ex-professional road racer, Justin has done just as much mountain biking and mountain bike racing as I have, yet never in a pair for a week-long race. We’d both raced the Crocodile Trophy together in a team, but working for a common goal, not a combined effort. The shared effort of finishing a stage as a team is something special – and wholly different to just racing for the same purpose. Stage races like The Pioneer can also reveal how friendships work, or don’t. American Sonya Looney arrived at The Pioneer fresh out of a northern hemisphere winter, with Gordon Wadsworth. Both are accomplished racers, but they hadn’t ever ridden together. They took a great battle to Williams and Fluker, although an unfortunate mechanical really ate up a lot of time. Looney reflected positively on the experience though. “We want to do more stage racing together. Things happen, the mechanical happened. Getting frustrated isn’t worth it and you can’t control those situations. You just have to make the best of it and accept it,” she said. And that touches on part of what makes stage racing great – you have to deal with what comes your way. In over 30 hours on a bike in a week, the chance of something unexpected is very high. Be it a mechanical issue you have difficulty sorting out, an injury from over use, or maybe some epic sunburn after a long stage where you neglected to look after yourself. Part of getting through the week is overcoming all sorts of hurdles, be they minor, or major. My time at The Pioneer in 2017 was challenging, but in a great way. There were plenty of riders who were heard to remark through the week that it was a lot tougher than they expected - they just didn’t think it would be so hard. But I don’t believe The Pioneer ever really promises an easy roll down the Southern Alps. Any descent is worked for, and the rewards are truly there with the amazing scenery and sense of accomplishment. True to the aims of the event, I found my character out in the Southern Alps. I like racing, and I like hard events like The Pioneer. It’s not something I truly shine in, but I think no matter who or where you are, if you’re competitive you find your race. Be it in the top 10, top 20, top 100. You find where you are, and set yourself a goal and go for it. With my team mate Justin we set our goal as top five in the open men’s category, and we got there with a fourth place. The organisers of The Pioneer say they want riders to ‘find welcome’ and it does seem vague. But on the ground, it’s clear they want everyone at the event to feel included, and part of a community. There is a strong sense of camaraderie between riders, and of genuine concern from the event crew that you get through the event in one piece. That’s why they have mandatory gear – to make sure you’re equipped for a day in the mountains, and not counting grams in lieu of safety. Their level of care, and effort to make riders feel welcome really struck home coming into the final feed zone on day two. Racing from Geraldine to Fairlie, it’s a much tougher stage than it appears on paper. Most of the climbing is in the second half, with a long, flat run in to Fairlie once you’ve spent all your cookies on the long climbs and wild descents. Low on food, water and everything, we came into the final feed zone to attentive volunteers and event crew. And it was the Oceania region CEO for the event crew who came out to grab my bottle and fill it, asking whether I wanted water or sports drink. This is not something that happens in many major events – but I really felt it showed how in touch the organisers of The Pioneer are with their riders. They are directly engaged with you all day, and I never felt anything but welcome at the event. 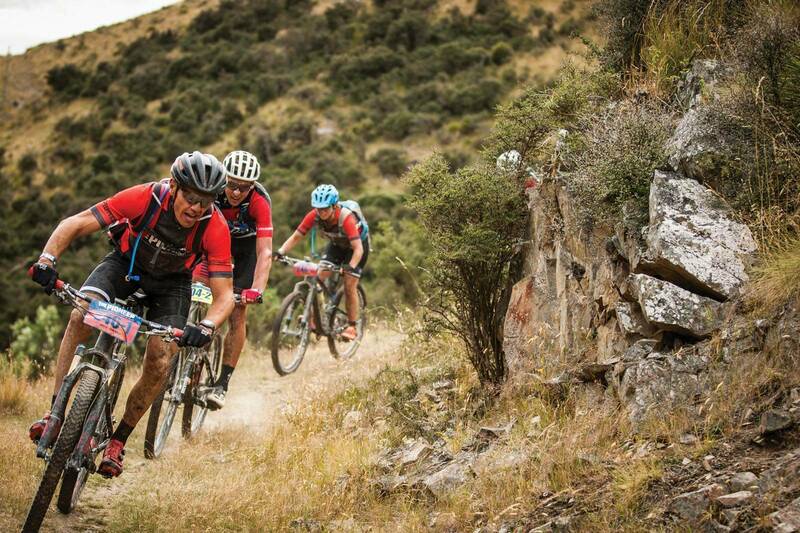 THE CAPE EPIC: partnering with The Pioneer. Will stage racing take over the world? In August last year, Ironman (who own The Pioneer) announced they had also bought the Cape Epic. Reactions to the news in the mountain bike world varied. Some people were concerned it would mean the cost of the Cape Epic would increase, others thought that the influx of ‘Ironmen’ (not the professional athletes) into the mountain biking world might change the sport. But when I spoke to Cape Epic founder Kevin Vermaak during The Pioneer, his decision to sell his race to Ironman was about growing mountain bike stage races globally. Or to be clear – he wants The Pioneer to be the first stage race to become a part of a global stage race series, and an event that lets people qualify for a highly coveted starting position at the Cape Epic. 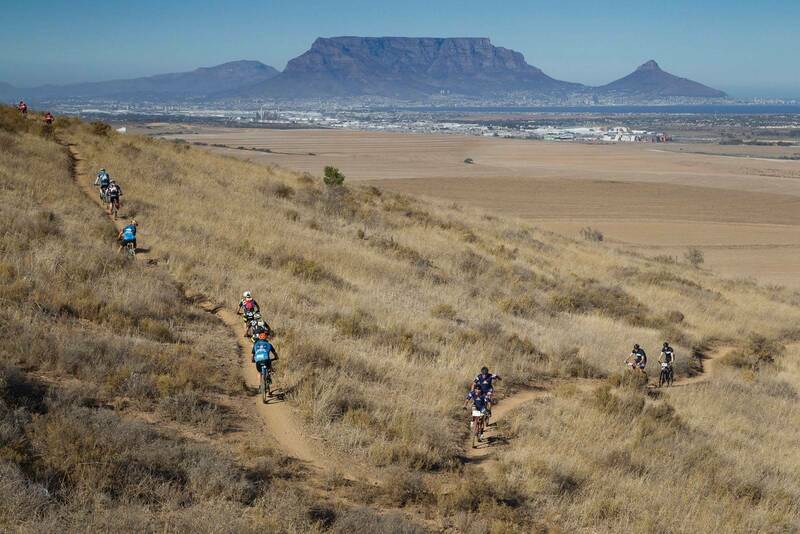 “I’ve aspired to take the Cape Epic beyond the shores of South Africa. And not in the sense of riders coming from other countries to race it, as we have achieved that already. I wanted it to have a real presence. It was about building a network of mountain bike stage race events, as that’s the real opportunity in the world of mountain biking at the moment. And that’s the opportunity that excited me about selling the Cape Epic to Ironman. They had the experience and the expertise of having a global network that operated in 20 countries. I thought wow, this is it. 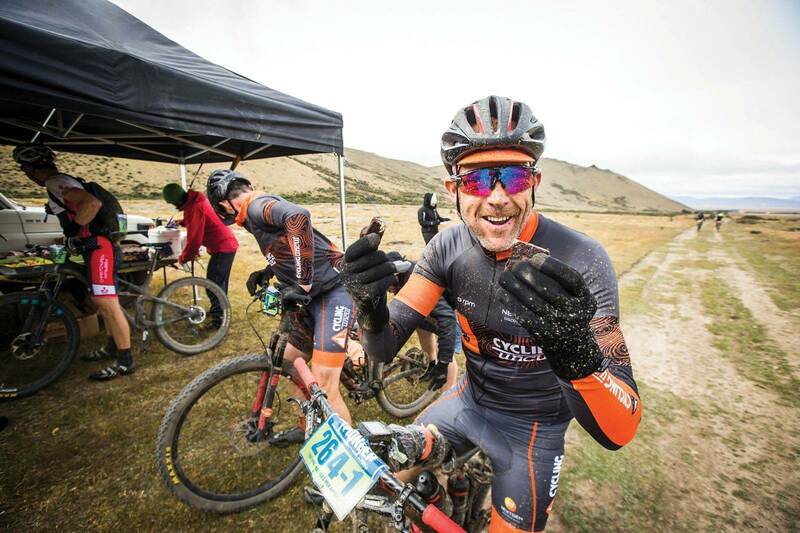 We can build a global mountain biking business with these guys,” explained Vermaak as we sat inside Snow Farm Lodge at the end of stage 6 of The Pioneer. 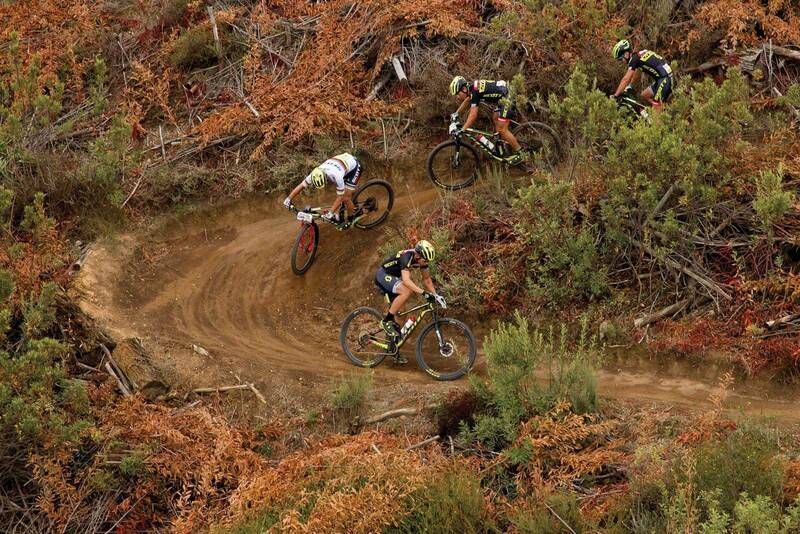 The Cape Epic has been called the Tour de France for mountain bikers. Not because it is three weeks long, but because of how it sits above any other mountain bike race in size and importance. With live television on select stages, great prize money, ranking points and international media exposure, it draws the very best professional mountain bikers from around the globe. This year, it even brought Cadel Evans back on to a mountain bike to race with his old BMC team mate George Hincapie! 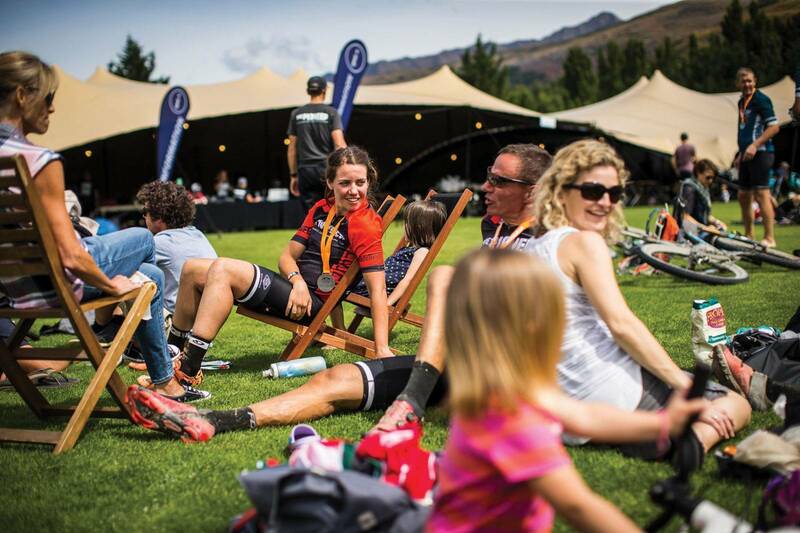 Formula 1 drivers, international rugby players, downhill and enduro stars, more Grand Tour winners and cyclocross champions have all come to challenge themselves at the Cape Epic. Having run for over 10 years, the Cape Epic has shaped what mountain biking is in South Africa, something Vermaak is very much aware of. In time, the Cape Epic grew to a race of international stature, especially with the likes of Christoph Sauser racing with the late Burry Stander, and with Team Bulls’ Karl Platt and Stefan Sahm making it part of their international season. And that influence spread throughout South Africa. Vermaak explains: “We have created a market for lots of other races too. If you put on a three day race a month and a half before the Cape Epic on similar terrain – Bob’s your uncle it’s a success! You have all the world’s pro riders in Cape Town and they go and do it. We have helped create quite a big mountain biking market in South Africa and I think it’s very unique in the world. We must be the one country in the world where professional cyclists can make more money mountain biking than they do road cycling.” The Cape Epic put South Africa on the global map for mountain bikers, and that’s something Vermaak feels other regions could achieve with a global series of races. 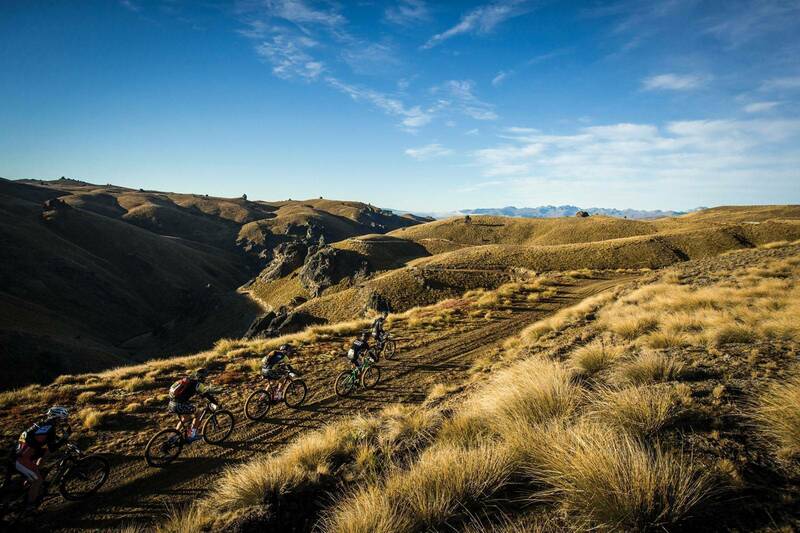 “Cape Epic is different, it’s a source of national pride amongst mountain bikers,” he says. So, I ask, is that the goal for any other race that could be part of a global series – for the race to hold immense national significance in its country? 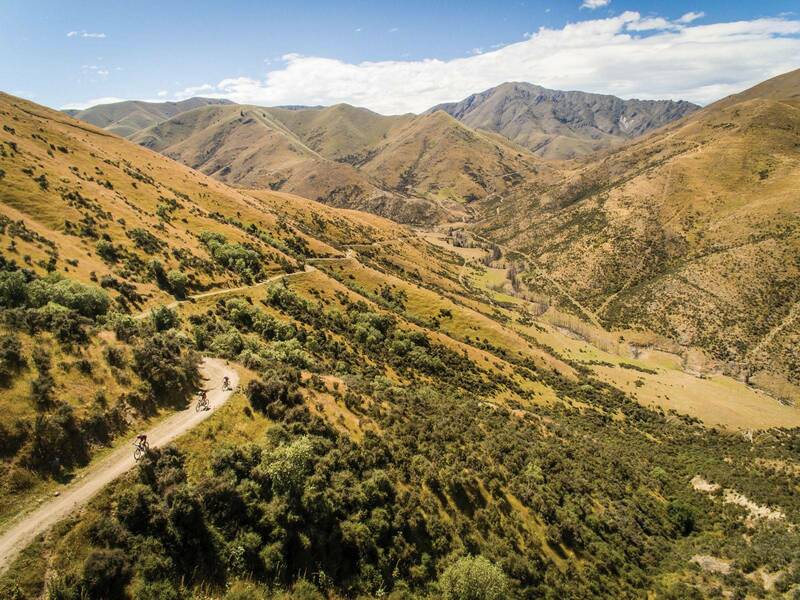 Mark Williams agreed that New Zealand’s South Island has a certain appeal for a week-long stage race, given the terrain and open expanses. I’m left to wonder where we might see the reach of this series spreading. Vermaak is adamant that it can’t just work anywhere; the mix of climate, terrain and attitudes to outdoor sports must be right. The first plan is to get a few three day stage races going in key areas. “Anyone that is a little bit fit and loves getting out into the outdoors can go to one of these three day races that is well-organised, in a nice location with great weather and it is a phenomenally fun weekend. I think a lot of areas fit that: Australia, New Zealand, Spain, Switzerland. It’s great mountain biking with amazing weather at the right time of the year, and if you organise a good event then people go and they have the time of their lives for three days. In my mind I think through some events – The Crocodile Trophy, Swiss Epic, Brasil Ride, BC Bike Race... what might get added to the series? Vermaak didn’t race the whole seven days of The Pioneer, his schedule just wouldn’t allow that. But he did participate on a stage and was travelling with the event for the second half of the week. I was interested to hear what he thought, having now experienced the event first hand. It is the inevitable question – how do they compare? 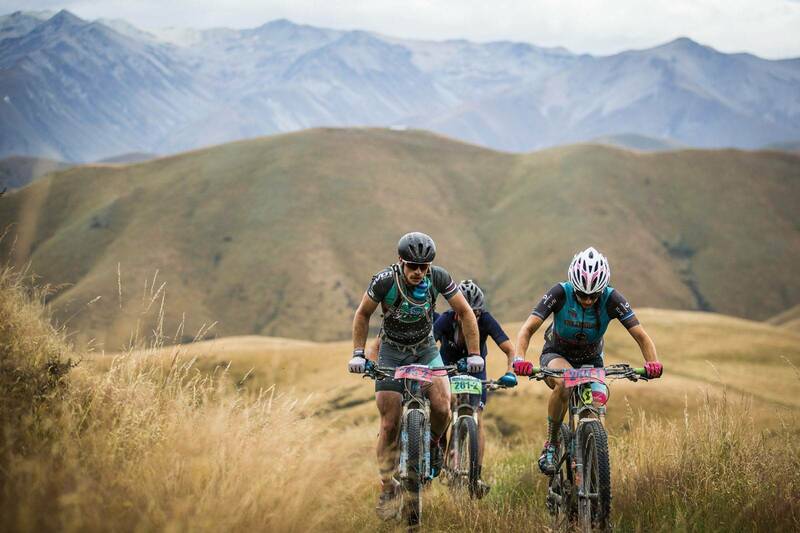 The Pioneer announced that with the partnership with the Cape Epic, category winners and five other teams would be able to win a starting place at the Cape Epic. Not a free entry, but a secured position. The Cape Epic entry is based on a lottery system and the starting places sell out in under a minute. Many riders will go to a lot of trouble to secure an entry. 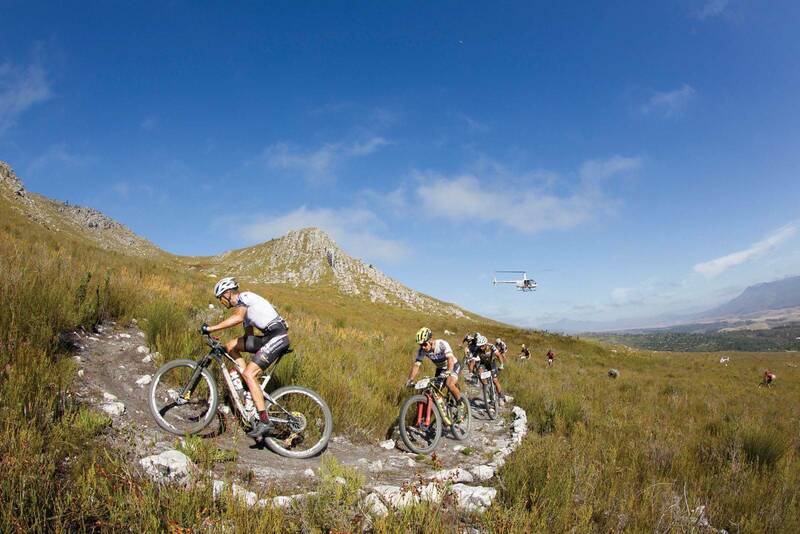 One thing The Pioneer offers is qualifying for the Cape Epic. Mark Williams isn’t sure that was a big draw card for 2017, but it should add to the event in years to come. As Williams raced (and won) the mixed category at The Pioneer with Kate Fluker, and then also raced at the Cape Epic together, he was well placed to comment on the differences and similarities. 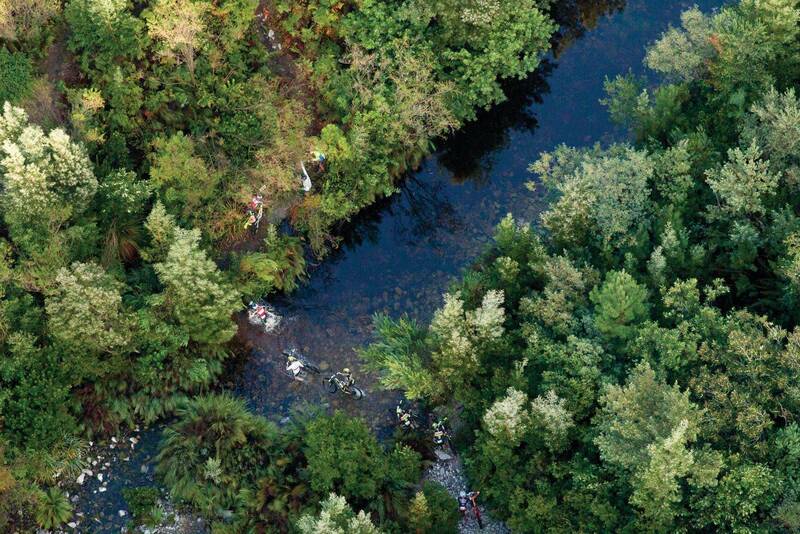 The types of trail used also differs, and over the past five years the Cape Epic has included more singletrack, and the distances have reduced (a little bit) - so much so it was really only cross-country focused riders leading the race this year, with Nino Schurter and Matthias Stirnemann victorious. Williams agreed that there were more ‘trails’ in South Africa. “There was more singletrack in Cape Epic which was fun, but also frustrating at times if you got caught in traffic. And besides, a lot of the ‘dual-track’ backcountry trails in New Zealand are like ‘singletrack for two’, so you can ride alongside your partner and have a chat if you so wish! One of the best aspects of The Pioneer is how easy it is to socialise with the rest of the racers – and make friends with people who share you passion. That does get difficult at the largest mountain bike race in the world. “It sometimes felt like you were just a number, without any of the warmth and intimacy you tend to find in smaller events, and the sheer quantity of riders meant it was hard to get to know anyone, let alone find them in the dining tent.” But Williams continued, that although The Pioneer is smaller – it is no less professional. I’m passionate about stage races like the Cape Epic and The Pioneer. I’ve competed in about 20 similar events over the past nine or 10 years and they have each had a positive impact on my life, from meeting new friends to learning more about myself and the places I visit. If there is a whole stage-racing global series on the horizon, I’m all for it. But regardless of that, I would happily enter either The Pioneer or the Cape Epic anytime, as the experience on the bike, and getting to live in an alternate reality where your week (or eight days) is wholly focused on riding your bike with a good mate is an experience you cannot forget. Both events are incredibly tough but without the challenge, the reward and sense of accomplishment doesn’t seem so sweet. And did I ‘find stunning’ at The Pioneer? Yes. At the top of every climb, at every sunset, every sunrise, and at the finish line every day. The Pioneer was a fantastic week on the bike, and while it was physically brutal, the sense of achievement was there once I arrived in Queenstown at week’s end.